Enjoy more of the cool point and click adventures that you've grown to love in the popular Troll Face Quest series. It's full of mad quests and impossible riddles where pranks aren't just a joke, they're a way of life! There’s no telling where they’ll wind up in the Troll Face universe. Avoiding failure has never been this funny...or hard. Stupidella is a very charming but not so bright princess from an enchanted kingdom. As you can tell, she was never the smartest kid on the block so she needs a brainy human being who can focus and help her solve tricky riddles while avoiding our crazy pranks. Then there's Failman, a superhero with good intentions who often messes things up for the people (and occasional cats) he tries to rescue. Are you an amazing human being? If so, prove it by helping them stay out of trouble while they explore the Troll Face Quest universe. These two hapless heroes are bound to find themselves in tons of incredibly crazy situations. It's pretty much impossible for them to win on their own. They'd appreciate it if you joined them during their adventure. Can you help them stop the infinite loops of stupid solutions and idiotic ideas? IT’S A BIRD! IT’S A PLANE! NO, IT'S THE FEATURES! - Plenty of funny but ultra-hard levels that will test your brain! - Challenge yourself with these impossible and silly puzzles that involve everything from dragons and aliens to old ladies and cranky cashiers. - Visit a crazy universe full of pranks, cool graphics, and awesome animation. - Check out our freshly crafted sound effects that will make you LOL. - Push your brain to the limit as you fight ridiculously muscular human beings, aliens, grannies, and more! Don’t let us pranksters win the battle! Prove to us that a real human being can be smarter than a clumsy superhero or an enchanted princess with lots of stupid ideas. Dive into a world filled with fantasy, painfully awkward superheroes, and total insanity! LIONS AND TIGERS AND TECH SUPPORT, OH MY! Stupidella and Failman are depending on you to keep them from getting their heads bitten off by circus lions, winding up knocked-out by boxers and, maybe worst of all, having to call tech support for help with a computer! There’s also a good chance that Failman is going to try to help pretty much anyone he runs into. He just can’t stop himself when it comes to rescuing cats stuck in trees, helping stranded motorists, and trying to put out fires, often without double-checking to make sure his hose isn’t accidentally hooked up to a few barrels of gasoline. Without you keeping an eye on them, these two could really get into a jam and fall flat every single time. They’re hoping you’ll keep them safe...along with everybody else they encounter in Troll Face Quest: Stupidella and Failman! First of all, I'm surprised you acknowledge these two characters at all. 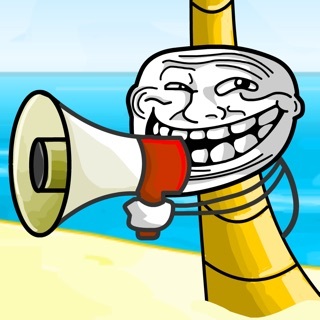 Secondly, this gives me the idea for a new trollface game. 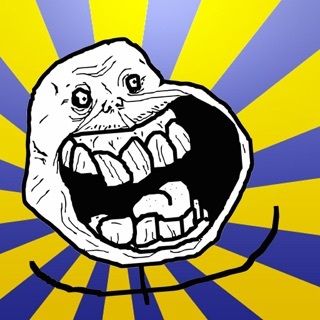 "Trollface quest remixed." A game where all the levels are from previous games, but the solutions and outcomes are different. Like for example the parachute level from trollface 2 now needs you to pinch so the stick figure puffs up like a balloon. This would be a fun and unique way to bring me down memory lane. And considering how apparently "loyal" you are, I can expect some excitement in the future. Anyway even if the trollface is outdated, thanks for always making these silly games that make me laugh.